There’s no doggy NHS to rely on and unfortunately your furry friend can be expensive. 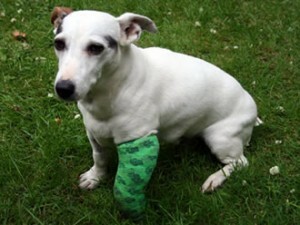 You never know what will happen and vets fees can cost the earth, especially when your pet needs long term treatment. Responsible pet owners consider pet insurance an important part of looking after their best friend – along with grooming, exercising and feeding. Often, new pet owners don’t always understand the expenses involved in keeping animals. That’s why it’s important to consider pet insurance, for your new cat or dog. Independent research shows that in the last two years, more than 1 in 2 pet owners had to make an unexpected trip to the vet. You can’t always prevent accidents, and your pet getting into scrapes, so it’s important for you to cover your pet for illness and injury. Insurance isn’t just for sickness – there are many ways cat, dog or rabbit can cost you money. Some policies cover the reward money if your pet is lost of stolen, they pay kennel fees if you are hospitalised and can even if your dog damages someone else’s property. Prevention is better than cure, so guard your guard dog with pet insurance!